SPECIAL OFFER! VILLA VERNAZZA, POOL AND SEA VIEWS, CLOSE TO CINQUE TERRE. A/C. Property 2: SPECIAL OFFER! VILLA VERNAZZA, POOL AND SEA VIEWS, CLOSE TO CINQUE TERRE. A/C. 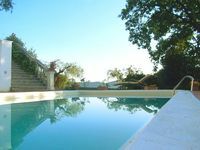 Villa with pool, park and enchanting view of the Gulf and Porto Venere. 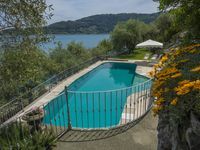 Property 5: Villa with pool, park and enchanting view of the Gulf and Porto Venere. Property 18: Luxury villa in Tellaro, in a context of wonderful beauty, directly on the sea. Property 34: Villa with panoramic views and large private pool - Summer offers available! This villa has amazing views from the patio and master bedroom. The villa had ample space for our 10 guests. Pia and Franco were so helpful and quickly responded when needed! They planned a private boat tour with Isabella and a cooking class with chef Antoinette in our villa. Both were highlights of our trip! Would definitely recommend this villa!